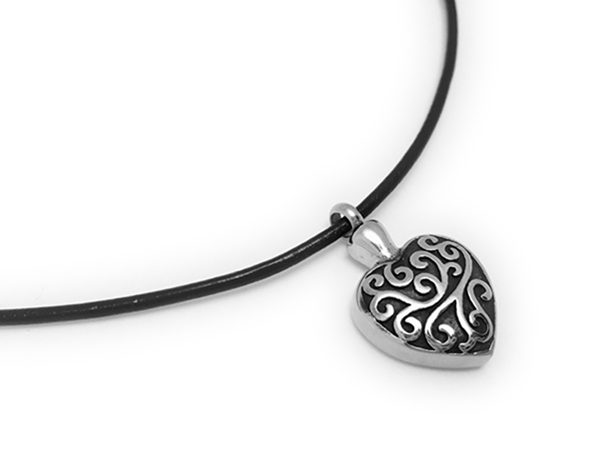 This silver urn charm can be taken off and put back at yourself. 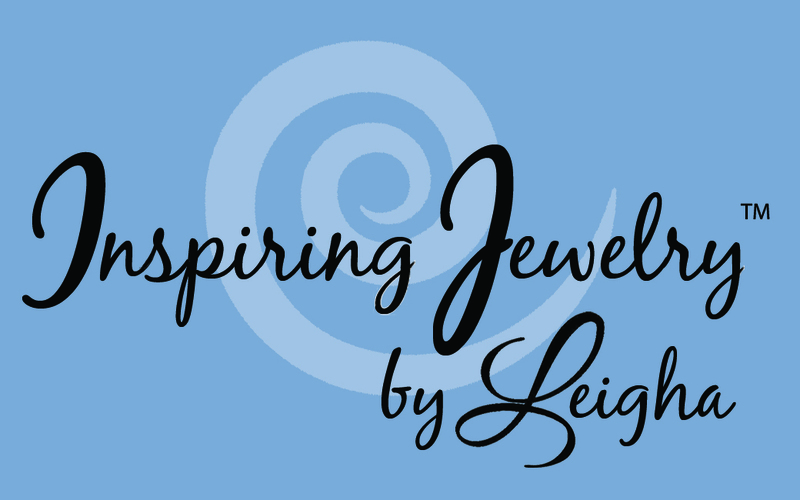 The end cap on the bracelet unscrews so you could add more charms that represent your loved one. 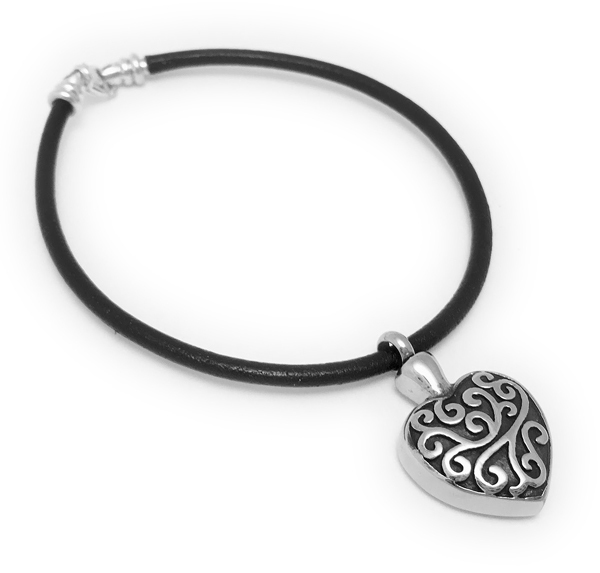 The bracelet is black greek leather and the clasp is sterling silver. You do need to be sure the screen is tight each time you put it on. 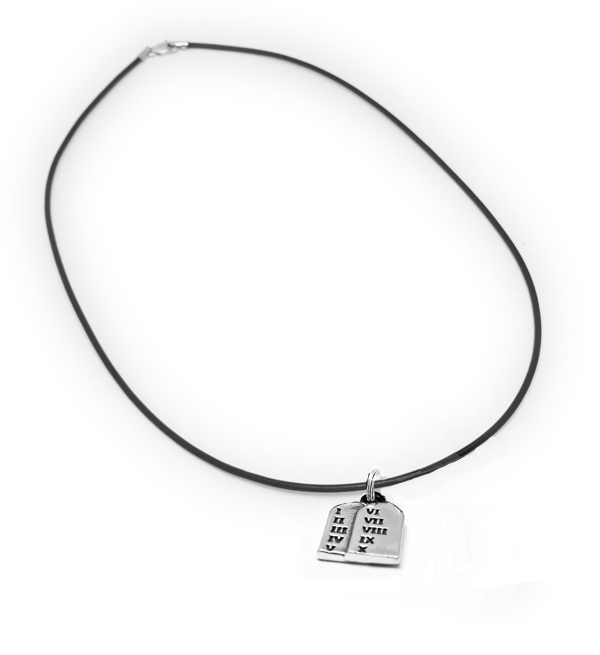 A picture of the necklace is shown below. Bracelet $49 - The bracelet comes in 3 sizes: 7 1/2", 8" and 8 1/2"
Necklace $49 - The necklace comes in 3 sizes: 16", 18" and 20"